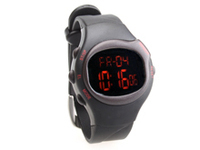 The Calorie Watch monitors your heat rate and calories burned while exercising without the need of a chest strap. Are there instructions how to set the functions for the Calorie Watch? We were given one as a gift, but no Instruction Manual was included.